Hobart Ironman 230 vs Miller 211: Which Should I Buy? Mold can be very harmful. Seriously. Wikipedia claims if not a killer, mold can cause serious health issues to anyone who is around it for a length of time. Mold grows spores that are released into the air and then breathed in. Often people notice a musty scent before they ever see the mold actually growing. The Mayo Clinic describes symptoms as generally presenting in the form of respiratory issues, coughing, stuffy nose, that sort of thing. It is important to remember that it may not affect you, but if you are concerned, check for signs from your kids or pets. Alright, so you know mold is bad for your health, now where do you go from here? Start by determining where the mold is and then read about the technique and tools you will need to remove it. To begin with, you should have the basic personal protection equipment; Eye protection, a breathing mask, and gloves. All the techniques we are about to discuss are Do-It-Yourself, although if you feel the mold has infested your house to an extent that you are not capable of handling mold and mildew on your own, professionals are always nearby and can do a thorough inspection. Having said that, you can do it! Many of the tools and solutions you will need can easily be found at your local retail store, if you do not already have them at home! Tools like a scrub brush, sponge, empty spray bottle, eye protection, breathing mask, and gloves can all be purchased at a low cost! Most people first realize they have mold or mildew due to their sight as it is pretty easy to recognize. Generally white, green, or black, and at times, fuzzy. However, you may have also noticed a musty or sour smell that many people associate with old houses. Although some may find this an endearing scent, it is not a good thing! The most intense mold infestations usually get to be that way because they cannot be seen, either in an unused house, basement, or hidden in the HVAC unit or under a sink. It is important that you always be aware that mold and mildew can be present in your home and be vigilant about keeping an eye out for it. Mold on walls may be the most easily recognized form of mold and also the most concerning as the walls are generally inside your home. Not only does this create a dirty look, it is also very unhealthy for you and your family. The good news is, it is relatively easy to get rid of! First, we are going to assume that your drywall is still in good standing. In other words, it hasn’t been damaged to the extent that it needs to be fully replaced. This will be easy to recognize as it will essentially crumble when you touch it. Next, you should get your tools together, an old sponge, gloves, bleach, and a bucket. Additional materials you may want to have on hand would be eye protection and a breathing mask as you do not want to inhale any more fumes than you need to. Bleach is going to be the go-to on this one as it is potent and will not cause further harm to your walls. Remember to protect your floors! Regardless if they are hardwood, laminate, or carpet bleach can be harmful. We suggest laying down an old tarp or taping down a large piece of plastic for extra protection. You can also keep a piece of damp cloth nearby in case you need to quickly clean up a spill. Keep in mind that even though the bleach will be diluted, 3 parts water to 1 part bleach, the scent will still be strong and you should work in a well-ventilated area. Once everything is gathered, just get to scrubbing! To prevent the re-appearance of mold, you will want to keep the room dryer. We suggest looking into purchasing an air purifier that will not only help to better circulate the air, but clean the air as it circulates! Wood can be tricky when it comes to mold, due to its porous nature. While there are many chemicals that can be used, you may want to avoid harsh chemicals soaking into your wood and try something a bit more natural. Vinegar can be very effective while not producing potentially harmful toxins like bleach, although both are known to work well. In addition to vinegar, concrobium can also be used as it is environmentally friendly. This is particularly nice if you are cleaning wood that is outside! Although you may not have concrobium on-hand, next time you visit the store, it may be a good product to keep at home! If you are still thinking about vinegar vs bleach, keep in mind that bleach does not always dry as fast, so if you decide to use bleach, work extra hard to make sure it dries thoroughly. Start by putting pure vinegar into a spray bottle. If the mold has grown particularly thick, you can mix the vinegar with baking soda, borax, or hydrogen peroxide. Do NOT mix them all together, just choose vinegar and 1 option. Using the spray bottle, thoroughly spray the molded area and let it sit for an hour. When the hour is up, fill a bucket with warm water, put on gloves, and dip a scrub brush into the warm water. Now it’s time to get to scrubbing! As you scrub, be sure to occasionally rinse the brush in the warm water so that you do not spread the mold. You may smell a hint of vinegar once you have finished, but the smell will leave within a few hours! In order to help prevent the mold from returning, you may want to consider painting the wood. No, we do not mean with a fresh coat of regular paint, but perhaps you could try a primer. Wood can be very absorbent, which is why mold can really get between the wood grains and flourish. To better protect the wood, you can paint it with a primer to seal and protect it from excess moisture which in turn will inhibit mold growth. Thinking long term, this may be the best way to protect it. Mold in carpet can quickly spread to other areas of the house as you walk on it and release mold spores. If you’ve noticed mold in your carpet, you need to get to work fast! As always, make sure you have proper protection like eye goggles and a breathing mask. Take a quick trip down to your local hardware store and rent a carpet cleaning machine (or buy one to keep at home), and buy an empty spray bottle if you don’t already have one. Fill the empty spray bottle with a cup of Lysol and water. Make sure the room you are working in is well ventilated! Thoroughly spray the carpet with the mixed solution, let it sit for about 20 minutes, then start vacuuming the carpet with the cleaning machine. Try to get as much moisture out of the carpet as possible to reduce the chances of the mold returning! An air purifier is highly recommended to let run for a few hours within the room or you could use a dehumidifier. Both of these will significantly decrease the likelihood of future mold issues. The basement is a location that mold loves! 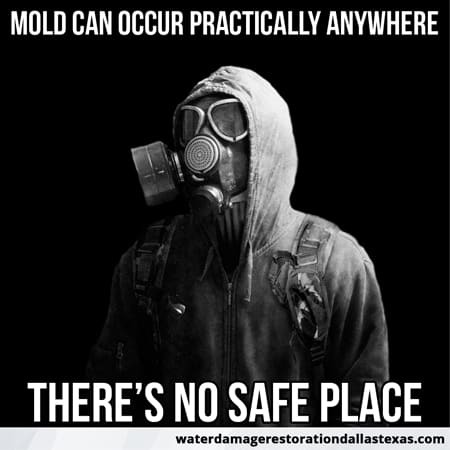 Generally dark and damp, mold tends to flourish in these conditions! The CDC says so! The first step will be to remove the mold currently growing in the basement, then you will need to take preventative measures so that it doesn’t return! One of the easiest ways to rid your basement of mold is to use a mold bomb fogger as it will not only get rid of the visible mold, but it will also treat any other items within the basement that may have mold on them too! There are many brands of mold bomb foggers, and many can be purchased from Amazon or your local hardware store. Once you’ve made your purchase, you can sit the can in the middle of the room, hold down the button until it clicks, then leave the room to let it do its job for around 2 hours (the can will tell you exactly how long). You should not have to worry about rust around tools or piping as this will produce an actual fog instead of mist. Although this method will kill all mold and mold spores, you may still notice some discoloration. Grapefruit Seed Extract is a great, all natural preventative for mold. Simply mix some with water, spray on the discoloration, and wipe off! This technique may also be necessary in your attic. Have you thought about checking? Mold is not as common in attics as it is in basements, but due to this fact many homeowners forget to check their attics and it can grow at an incredibly fast rate if left unchecked. Occasionally, in unchecked rooms like the basement and attic mold can spread quickly out of control. You may decide that you want to use a chemical spray to thoroughly remove and prevent the return of the fungus. If this is your feeling, look into RMR-86 as it is both strong and effective. Due to its strong nature, many people decide to only use it in the attic or basement since those spaces can be vacated for long periods of time to let the potent scent dissipate after use. Sometimes, washing your clothes with just detergent isn’t enough to remove mold! Luckily, there is an easy solution when it comes to good old white distilled vinegar. Go to wash the clothes as you would normally, with detergent. Once the washing machine has filled with water, add a cup of white distilled vinegar and let the machine do the rest! Work the white distilled vinegar directly onto the stain and let it sit for a few minutes, then toss in the washing machine. Pre-soak the clothes in warm water and a cup of vinegar, then wash as usual. Test the vinegar mixture on an area of the fabric that cannot be easily seen to make sure that it doesn’t affect the color. Once you are sure that the vinegar mixture is safe to use on that material, dip a sponge in the mixture and rub on the molded spot. Wait approximately 15 minutes, then rinse or rub with warm water. Repeat. To help prevent the mold from returning, use a dry towel to soak up as much leftover moisture as possible and place a fan blowing directly on the fabric. You will want as little moisture left on the fabric as possible! If the vinegar does stain, or you are too worried about it staining to attempt a test, check out concrobium! This product is EPA registered as safe to use on fabric and you use it just as you would vinegar. Note, even though it is registered as safe for fabric, always test it first! The shower, and or bathtub, can be a tricky place when it comes to mold. As we know, bathrooms are often warm, damp, and sometimes not well ventilated, which are the exact type of conditions mold loves! Unfortunately, it is hard to keep the shower dry all the time, which makes cleaning mold sometimes a difficult task. When it comes to the shower, you may need to always keep an eye out for small signs of mold so that it never gets out of hand. If you regularly clean your shower with a bathroom cleaner, this may not be a hard habit to get into! You have a couple of options to choose from, all of which are low-cost. Tilex is a shower cleaner that is used to specifically clean the grout between the tiles in your bathroom. 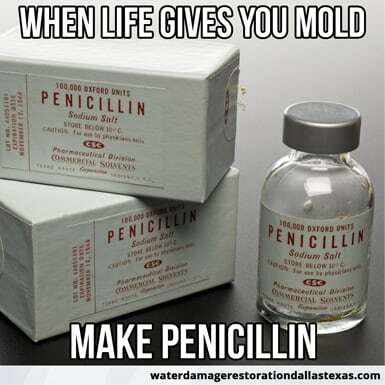 Depending on where the mold is growing, this may be the simplest solution for you! 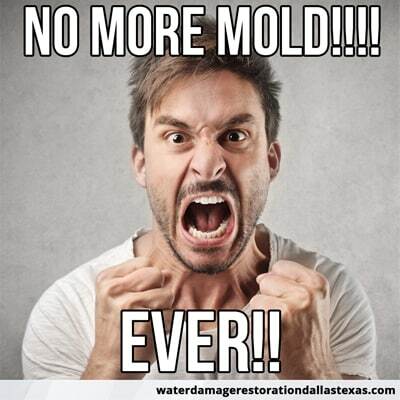 Perhaps you do not have tiles in your shower or the mold is growing elsewhere…. Since you spent an intimate amount of time in the shower, you can use a bit more natural solution of (1 cup) baking soda, (1 tsp) liquid Dawn soap, water enough to form a paste, and a couple drops of essential oils for scent. Dip a damp sponge in the paste and scrub the mold until it disappears. Remember to wear your gloves, goggles, and a breathing mask for your safety! If you are having trouble removing the mold from the grout or caulk, you may need to replace it. While we are discussing the shower, do not forget to check other areas within the bathroom like under the sink and around the toilet. The toilet especially can be tricky, as mold will sometimes grow within the tank on the back of it. Easy and quick solution to this, is a Clorox bleach tablet. If you are feeling adventurous, they also make these in blue. I can’t tell you why blue specifically, but it is colored so that you know when the bleach has run out. This will also help keep the toilet bowl clean as well. Black mold, as described by the CDC, is usually not just seen but can also be smelled, if you have a large infestation. Although not necessarily deadly, it can cause respiratory issues in otherwise healthy kids and adults. As previously stated, mold within showers is quite common due to the conditions of your average shower, warm and moist. Ventilation is also a common issue, so everything stays damp for prolonged periods of time. When it comes to black mold, you may not want to try the easy way out, but be more thorough to identify the underlying issue. 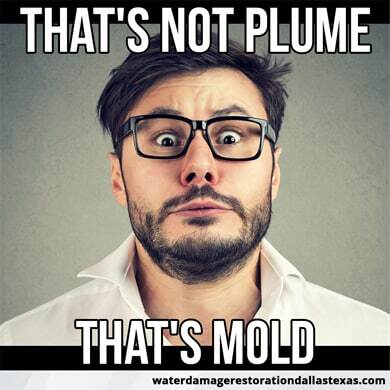 This is particularly true, when black mold is growing on the caulking or mold within your shower. Not only is it hard to clean, but often it can mean that the mold is deep down in that porous material. The most efficient way to remove the black mold, in this case, is to replace the molding and/or caulking that the mold is clinging to. However, this may not be an option for you. If it isn’t, there are ways of effectively cleaning it. Please remember to wear protective clothing and personal equipment like gloves, eye goggles, and a mask with sufficient ventilation. Additionally, try to make the room as well-vented as possible by opening a nearby window, turning on a fan, etc. Fill a bowl with warm water and add some bleach, approximately one-sixth bleach to water portions. Dip cotton balls in the solution and place directly on the mold. Leave the cotton balls on the mold for 2 to 4 hours, until the mold is not visible anymore. Feel free to spot check it occasionally and if the mold is still visible, re-soak the cotton ball and replace it for an hour. Close the door while it is soaking to prevent the smell from filling up your house. Once the mold is completely gone, it will be unnecessary to rinse the area, but many do so to help make the scent dissipate quicker. Once all the mold has been removed, you will want to keep it from coming back. 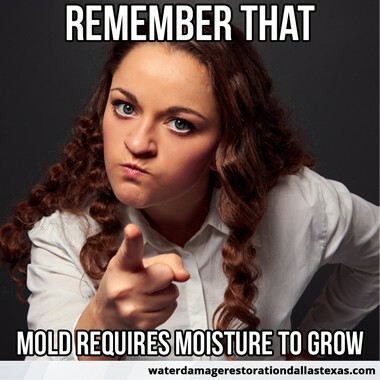 Remember that mold requires moisture to grow. You can check out Arm & Hammer’s FGAH14 Moisture Absorber & Max Odor Eliminator Tub on Amazon. Once purchased, you can place it in high-moisture areas like in the bathroom, basement or under the sink in the kitchen. Another preventative measure is to invest in a good air purifier with a UV light that will help to clean the air as it passes through as sometimes just circulating air is not enough. In addition to keeping one in a room that is known to have issues with mold and mildew, it may also be a good idea to keep one in your bedroom for safe measure! Always remember to protect yourself when working with mold as what is visible is not toxic, but the airborne spores it is producing! Also remember that it may not (only) be affecting you, but your kids and pets too! Don’t forget about your work environment! AIHA, protecting worker health, wants you to remember that you spend a lot of time where ever you work and you should be vigilant about protecting yourself and workers from mold there too! It’s also okay to call in the experts if necessary. Professionals can be expensive, but if you have experienced a covered ocurrance, cleanup may be covered by your homeowners insurance. Such occurrences may include flooding or a natural disaster. Mold can occur practically anywhere, although it is more likely to appear in certain areas rather than others. Can you believe it can even grow on the outside of your house, like on brick or concrete? The good news is that it is pretty easy to get rid of and prevent, due to mother nature helping out. If you have a handy spray pump, just fill that with about 1 part bleach to 10 parts of water, spray, wait 15 minutes, then rinse down with a power washer like the Sun Joe SPX3000. The Sun Joe SPX3000, in particular, has a detergent tank that you can actually mix the bleach and water in together and save yourself a step! 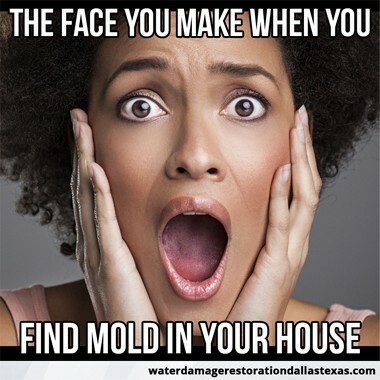 Generally speaking, once you notice you have mold the first time, you will remember to check that area on a regular basis so that if it does return, you will catch it early. Also ,remember that prevention is key. Do your best to keep an area dry and ventilated and you shouldn’t have issues!